Sonic Reality have announced the imminent release of Serafine FX Tron and Cinema Sessions Gold Edition, a massive range of sounds for film and other media. 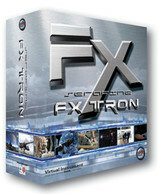 Serafine FX Tron is the first complete sound effects workstation made as virtual instrument software. 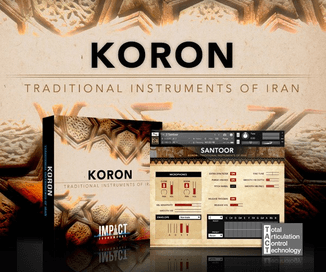 It comes with Sonic Reality’s Infinite Player, powered by Kontakt, and works stand-alone for the Mac and PC as well as a plug-in for all major DAWS. FX Tron was done with the cutting edge sound effects of acclaimed sound-designer – Frank Serafine (The Hunt for Red October, Lawnmower Man, Star Trek, Tron). It features over 12,000 sound effects covering ambient soundscapes, animals, electronics, industrial, musical, nature, science fiction, vehicles, weapons, explosions and more. Designed for both Film/Media sound effects use and for music composition, Serafine FX Tron features sounds you can mold like clay. Whether it is interactive foley with advanced convolution reverb for matching sound effects to dialogue, or creating the ultimate alien creature’s roar by playing a lion mixed with a bear two octaves down the keyboard, the Serafine FX Tron virtual instrument is the ideal source for any sound effects needs. Also being made available in the first Quarter of 2010 is the Serafine FX Tron Platinum HD with over 20,000 ready-to-go interactive playable sound effects, including the main FX Tron workstation, plus additional expansion libraries: Comic Sonic Relief, Drone, Foley, Guns of Cinema, Human Animal, Industrial, Sci-Fi 1 & 2, Vehicles and Water all together at a bundle price. FX Tron HD and Platinum HD come pre-installed on a 7200 RPM USB2/Firewire 400/800 portable hard drive for instant use. Sonic Reality’s Cinema Sessions expands sounds for film into the musical realm with titles such as Symphonic Effects, Global Atmospheres, Dimensional Effects and Ambient Atmospheres. 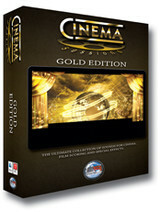 In the first Quarter of 2010, Sonic Reality is releasing a special Cinema Session Gold Edition which not only contains all 4 Cinema Sessions volumes for everything from wild orchestra takes to exotic sounds of the world, but also multi-dimensional and ambient soundscapes and additional orchestral film pads with weaving textures suitable for anything from TV/Film composition to cutting-edge electronic to pop music production and more. Ability to play forward and backward with a click of a button. Time-stretch and alter the harmonic structure of sound effects in real-time. Place sounds in any space via the use of the included Convolution Reverb – drag and drop your own impulses for matching sound effects to dialog and more. Sounds stretch across multiple octaves of the keyboard for quick alternate-pitch auditioning and polyphonic effects’ building. Sounds can be layered and saved back as new composite sound effects. Built-in database query right inside Kontakt Player 4 allows easy access to thousands of individual FX. Built-in DSP effects for sound design, such as Filters, Delays, Chorus, Flangers, Phasers, Reverb, Distortion and more. Sound-shaping envelopes and easy-to-use controls for tailoring sounds for every need. Serafine FX Tron HD has a MSRP of $995 USD (Serafine FX Tron Platinum HD TBA) and Cinema Sessions Gold has a MSRP of $599 USD.